Get here the awesome and adorable collections of best friends quotes related to the tag "Gift" at free of cost. Find here the ways to express your true friendship in the form of quotes, messages and images. Share the best friends quotes with your friends and dear ones. 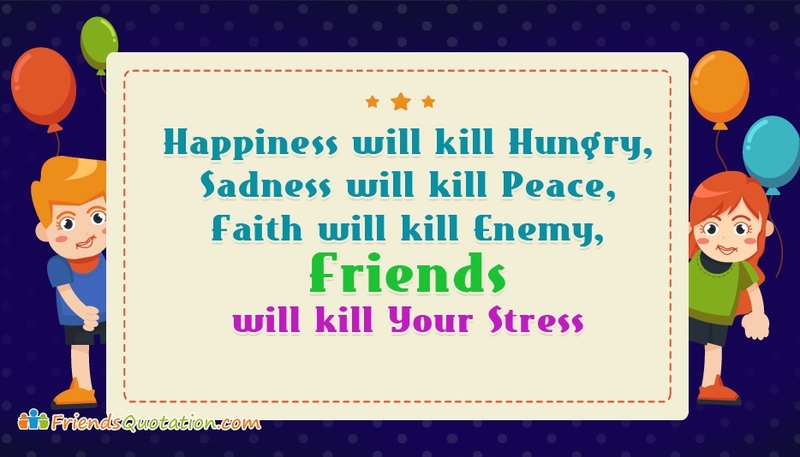 This page contains the best friends quotes related to gifts such as "Happiness Will Kill Hungry, Sadness Will Kill Peace, Faith Will Kill Enemy, Friends Will Kill Your Stress", etc. Select and share the best ones as gift to your dear friends.